Why You Should Self Host your Blog. 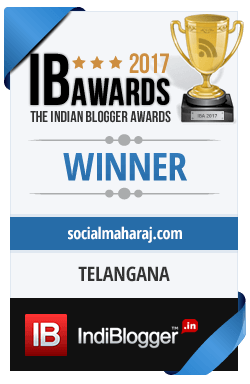 I urge everyone to get into blogging for various reasons mentioned here. From improving your writing skills to getting that side income, blogging is a great way to improve your personality. One of the motivations I feel to start blogging is that blogging is free. Right, you simply register on any of the blogging platforms – WordPress, Blogger – and your blog is ready in a few clicks. It’s a great way for anyone to get into blogging. However, more often than not blogging turns from a hobby to a serious activity after a while. And when you are planning to become serious, it’s time for you to Self Host your blog. So here are 5 reasons why you should self host your blog. One of the major reasons why people move to a self host blog is for customizations. 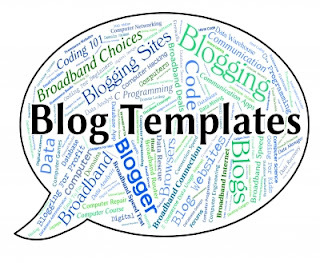 Free blogging platforms have a limited set of features that are available for use. For someone who is starting out, it might be enough. However for some power users like me, these aren’t enough. We want more. And that’s when you should self host your blog. Self Hosting your blog gives a lot of customizations including more themes, plugins etc. So if you are looking to have more customizations than a self host blog is for you. With free hosting, you have very limited control over your blog. You cannot control the way comments are displayed or use a 3rd party plugin. Further if you are planning to redirect your blog to some other place, you will not be able to do so if on a free blogging platform. Also, running many analytics services too requires you to have a self hosted blog. So you see, if you need full control over your blog, self hosted blog is for you. Blogging is a great way to reach a large audience. And if you are reaching a good number of readers, your blog can become a great place to show some ads. (Remember do not spam your own blog with ads !) Most of the Ad network require you to have a self host website to show ads. Most of the free blogging platforms (barring Blogger) don’t allow you to show ads on a free blog. Hence if you are planning to earn from you blog, you need to self host it. If you have developed your niche around a particular topic you will have a good number of readers. What that does is, it opens the gates for brands to contact you. There are brands and PRs on the lookout for blogger who can promote their products. If you are not self hosted with a custom domain name, chances are high that the brands might give you a miss. Having a self hosted blog will not only give you full control over your blog but also increase chances for brand engagement. Please note that ideally self hosting a blog is not needed since most brands look for a custom domain name. True, self hosted give a sense of ownership and hence people become more passionate about it. Interesting and informative, Atul! Great read as always! Cheers! Also self hosting ones blog strengthens the identity and perception of commitment towards your blog. It then becomes easy for one to attract revenue generating agents like ads, sponsors, guest bloggers etc. That’s a valid point Anupriya. Thanks for dropping by.